The 123 Simples BUSINESS Web Hosting package is geared for companies who have several different websites, or require additional optional extras, such as more websites, more email accounts. We take care of everything for you, from setting up the domain name(s), website hosting, email accounts, FTP accounts and lots more besides. Our Simples Web Hosting Packages are designed for new clients, or people who have tried other web hosting companies and then realised it was a little more difficult than they first thought. If you go with 123 Simples, then you will love the way we work! Available for any web design client using 123 Simples. Setup, management and support taken care of by us. Your domain names are safe - they are registered to you. We upload your newly created website to the servers for you. We setup and manage any other necessary services in connection with your hosting. We take care of domain name renewals, and hosting renewals for you. 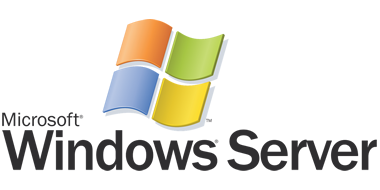 Our Windows Server 2016 IIS 10 Platform uses the latest technology to run any ASP.NET, Classic ASP, PHP or HTML based websites. With a UK based datacentre and 24/7 Server Monitoring, the 123 Simples Web Hosting package offers everything our web design clients may need. Creating websites for local small business owners that want something great!